Today we recieved this lovely letter from a group we work with every year. Well done guys- shame the weather wasn't more kind to you! 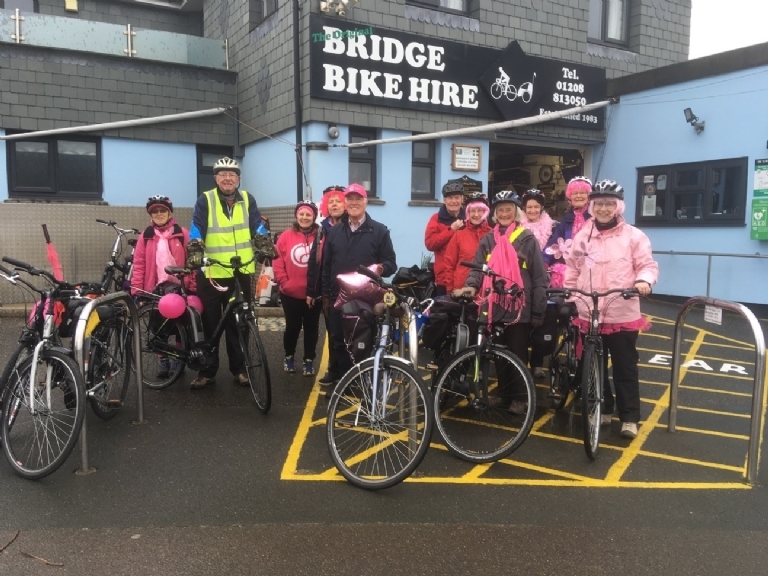 Thank you Nigel, for your kind donation of bike hire for six of our Committee members, who were part of a group of thirteen of us collecting in Padstow for CRUK on Saturday. We cycled from Wadebridge to Padstow and back, spending some hours bucket collecting around the town of Padstow. We were not lucky with the weather that day, but we did raise the fantastic sum of £566.92 in donations for CRUK, given by the generous public of Padstow. Thank you BRIDGE BIKE HIRE for all your support for our fundraising event. Your staff, Nigel, as always, were very helpful.